"The history of one of Galicia's finest though often unheralded varietals, Godello, is forever linked to the winery Valdesil in the mountainous sub-zone of Valdeorras. The current proprietors, the Prada family, whose ancestor was named Jose Ramon Gayoso, planted the first small parcels or "Pezas" to his beloved Godello in 1885. This first planting was called Pezas Pedrouzos, and in the ensuing years, Gayoso continued to plant pezas in and around the village of Portela all on slate based, hillside soils. As the generations passed, however, he and other family members sold many of these plots leaving the family with only the original Pedrouzos parcel. In 2001, the current generation of the family began a process of buying back the small pezas that were originally planted by Jose Ramon Gayoso and as of today they have regained them all. This of course includes the estate of Pedrouzos which contains the oldest Godello vineyard in Galicia. It is also the source of all the massale selection cuttings used for the winery's new plantings. 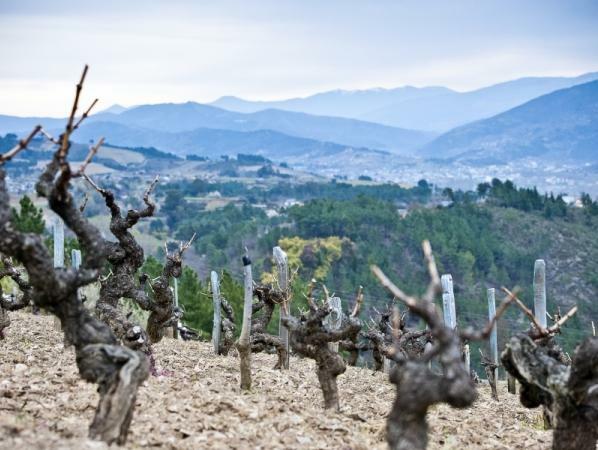 The history of wine growing in Valdeorras dates back to the Roman times, where there are references in Latin texts made to grape vines planted in the region along the river Sil. The name itself means "Valley Of Gold". The region was given DO status in 1945, though it is really in the last 30 years that the region has developed both qualitatively and also in new plantings. Valdeorras is located in the eastern part of Galicia. Because the vineyard area is surrounded and protected by mountains, the region receives a bit less rain than other parts of Galicia, but still wet by Spanish standards. The area is also characterized by large diurnal shifts which allows for good ripening of the grapes while still maintaining high acidity. The majority of the estate's vineyards are planted to Godello, though they also produce a small amount of Mencia and some other indigenous red varietals. Given the difficult terrain, all the vineyards are worked by hand. Valdesil makes several wines from Godello beginning with Montenovo – the young fresh expression of the grape. This wine is fermented naturally and released young and fresh. The main wine named after the winery – Valdesil - is a wine that is aged on its lees to bring out the richness and complexity of Godello. This wine is full of character, freshness, minerality and ageability. It showcases perfectly the schist based soils and the depth of character Godello can provide. The property also produces several distinctive, small production wines. The best of the single-pezas are bottled on their own, such as Pedrouzos and O Chao (granite soils) and then there is a combined wine called Pezas da Portela which is a blend of many of the best pezas. These top Pezas are naturally fermented in large used French oak barrels and given regular batonnage of the lees. The wood is not used to leave wood flavors or aromas in the wines – hence the used barrels and larger sizes – but to create longevity and texture in the wines. These wines do have tremendous aging potential and are in line with the top age worthy whites of the world."